 Historic base ball at Old World Wisconsin is the re-creation of the styles, speech, rules and terminology of the 1870s game. It's not only a competitive game, but also a re-enactment of baseball life, similar to an American Civil War re-enactment. By the late 1860s and early 1870s base ball was being played throughout the state on summer afternoons. Communities established their own teams, which challenged those from surrounding towns. Each year Old World Wisconsin features a slate of home games throughout the summer season. The base ball field has been moved to the village area, not far from Admissions!